This is a perfect, hearty soup to make on a crisp, autumn weekend (not that I can relate since it's in the freaking 80's here today - c'mon fall!). 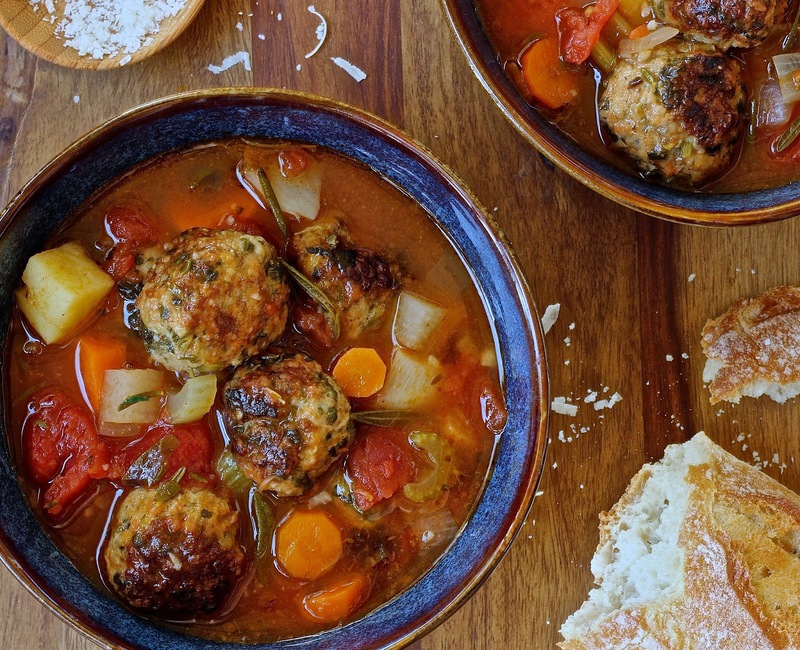 It has all the classic flavors of minestrone - tomato, fall root veggies & tons of herbs - plus the awesome added bonus of spinach meatballs. Oh, how I love thee, balls o' meat! In a large bowl, combine the eggs, milk and breadcrumbs. Stir to combine. Add the meat, garlic, salt & pepper, Parmesan and spinach. Use hands to thoroughly combine ingredients. With slightly damp hands, roll into about 40, 1-inch balls. In a large soup pot, heat 2 T. olive oil over medium heat. Add meatballs and cook, turning occasionally to brown all sides, until cooked through - about 8 minutes. You may need to work in 2 batches - don’t overcrowd the meatballs while cooking or they won't brown nicely. Set meatballs aside. In the same soup pot, over medium low heat, add the onion. Cook until translucent - about 7 minutes. Add garlic, carrots and celery and cook for 2-3 minutes. 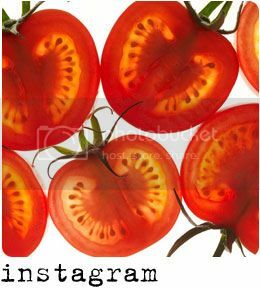 Add the tomatoes with their juice. Roughly chop the tomatoes with kitchen shears. Add chicken broth, whole springs of rosemary & thyme, chopped basil, oregano, crushed red pepper, salt & pepper and Parmesan rind. Bring to a boil. Add the turnip, potato and meatballs. Bring back to a boil, then lower heat to a brisk simmer. Simmer uncovered for 45 minutes to an hour, stirring occasionally (or even longer… just be sure to lower heat & keep at a very gentle simmer at this point). When ready to serve, remove the rosemary and thyme stems (the leaves will have detached into the soup), the bay leaf and the Parmesan rind. Serve topped generously with grated Parmesan.